King Salman Bin Abdul-Aziz of Saudi Arabia is leading an entourage, including 25 senior princes and 10 ministers, to China later this month, part of a month-long tour of the Asia-Pacific, as the kingdom is seeking to hedge against an unpredictable and divided White House. While it yearns for a renewed American role in the Middle East and reassurances from President Trump that Riyadh remains an ally, Saudi Arabia now faces a period of uncertainty due to the unpredictability of Trump’s foreign policy stance. That reason alone could explain why a trip to Beijing was planned before a trip to Washington. It’s just basic human nature, but no one likes to look over their shoulder to see an eager competitor gaining on them no matter what the situation is, right? Well, while we have the world’s finest, most powerful military, we have some potential enemies, “frenemies,” etc. who are trying to catch up to us with their development and deployment of cutting-edge military weapons. 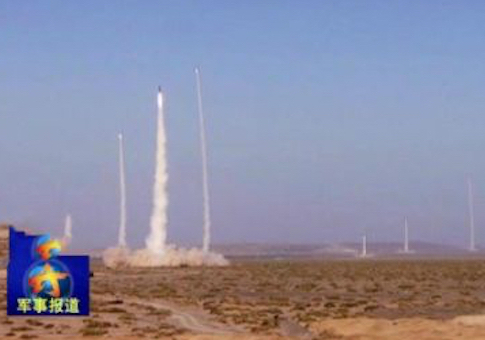 China’s military conducted a salvo of 10 missile flight tests late last month in a show of force during the transition to the Donald Trump administration. When it comes to China’s ongoing military buildup, most attention is paid to the modernization of the People’s Liberation Army’s (PLA) conventional forces, that is, fighter jets, submarines, armored vehicles, precision-guided munitions, and the like. The nuclear side of this buildup is almost totally ignored – and yet what is happening here is equally disturbing. For China, “going nuclear” was major achievement. Beijing detonated its first atomic (fission-type) bomb in 1964, followed by the test of a thermonuclear (fusion-type) device three years later. Given the relatively backward state of China’s defense science and technology base, these feats, along with the launching of China’s first satellite in 1970, were a source of considerable national pride. Russia has deployed its most advanced tactical missile system, the Iskander-M, in Syria in the last few days, debkafile reports exclusively from its military and intelligence sources. The Russian Iskander is capable of carrying a nuclear warhead and has never been made available to any foreign army for operational use. No nuclear-capable surface missiles were deployed in any Arab country bordering on Israel since 2007 when Chinese DF-21 missiles were installed in Saudi Arabia. 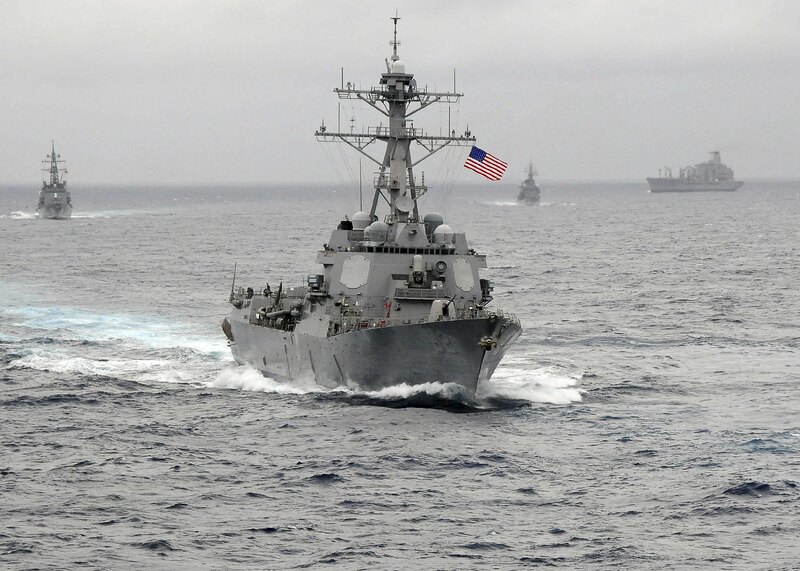 HONG KONG – Increased interactions between the Chinese and U.S. Navy in the contested South China Sea risk becoming more complicated by the increasingly sophisticated missiles being carried by submarines. China has deployed Dongfeng-21 medium-range ballistic missiles at Mt. Baekdu that target Japan, the official International Herald Leader reported on Sunday. After all the technology the Clintons had given the Chinese during their tenure, it shouldn’t come as a surprise. America even trained the PLAAF for combat readiness on American soil, sold them super computer technology for nuclear weapons labs that has helped them build the nuclear weapons they have today. What would the US do if war were to break out over Diaoyutais? In an article for the Washington-based National Interest magazine on June 21, US defense expert Harry Kazianis laid out a possible a scenario involving Japan and China clashing over the airspace of the disputed Diaoyutai islands (Senkaku to Japan, Diaoyu to China) in the East China Sea to analyze whether the United States would be ready for such a conflict. Comments Off on What would the US do if war were to break out over Diaoyutais? Posted in Asia, Axis Powers, Barack Obama, China, Japan, Military, National Security & Terrorism, PLA, PLA Navy, Politics, USA, War Tagged anti-ship missiles, Asia, barack obama, China, Chinese invasion, DF-21, Diaoyu islands, Diaoyutai Islands, East China Sea, Foreign Policy, Harry Kazianis, J-10, Japan, Japanese Navy, Japanese task force, Liaoning, national interest, people's liberation army, People's Liberation Army Navy, PLA, PLAN, politics, Senkaku islands, United States, US-Japan alliance, warning shot, What would the US do if war were to break out over Diaoyutais? The PLA war machine’s intimidation is more than a test for the Japanese. Rather, it’s a test for the United States to show itself to Japan as either a reliable ally or an unreliable ally. At the rate the USA is disarming combined with the economy’s effect on the military and national security, it’s no longer unthinkable that it wouldn’t even be able to protect itself within the next four to ten years — let alone Japan or another ally. United States intelligence agencies recently detected China’s military shifting road-mobile ballistic missiles closer to its southern coast near the disputed Senkaku Islands amid growing tensions between Beijing and Japan over the islands dispute.